After receiving "Extremely Loud and Incredibly Close" as a Christmas present, I let it sit on a shelf for a year before reading it. I must admit: the prospect of reading about a child who lost his father on 9/11 did not excite me. Perhaps it was best that I waited, because this lyrical, fearless book has inspired me at a time when I, a stay-at-home mom of a toddler, am feeling overworked and under-inspired. I have not gotten so excited about an author's creative use of voice since I read William Faulkner's "The Sound and the Fury" in high school. 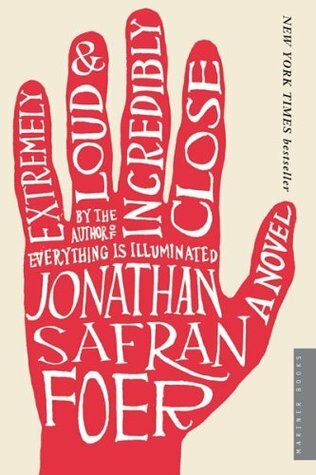 Rather than concentrating on 9/11, author Jonathan Safran Foer tells a multitude of tales from a family, all dealing with separation, guilt, grief, and an inability to communicate with loved ones. These are, of course, universal concerns, and they elevate the book above the simplistic ways we often talk about tragedy. The characters include a young boy mourning his father's death on 9/11, as well as his grandmother and his estranged grandfather. Each tell their tales in distinct ways. The boy keeps a scrapbook of pictures that speak to him and seeks meaning by engaging in a city-wide scavenger hunt for the lock opened by a key his father left behind. The grandfather, who left while the boy's father was young, has not spoken aloud since the Dresden bombing in World War II, where he saw unfathomable tragedy. He "speaks" through writing short sentences to people in blank books. The grandmother shares her deepest thoughts through letters which, apparently, she leaves unsent. At times, the different voices descend into nonsense or take an unusual approach to describing experience. This constant discovery and renewal is exhilarating and thought-provoking. I highly recommend this book to any reader, but especially to writers seeking inspiration. Reading this book will make writers think about narrative and how to construct it differently, as well as how to use voice and character to tell a story and build dramatic tension. This poetic, insightful book speaks volumes about the human experience. Sign into Goodreads to see if any of your friends have read Extremely Loud and Incredibly Close.